I made this for my sister's up and coming birthday. She celebrates her birthday on Halloween, how fun is that. 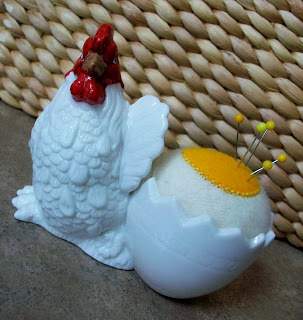 The cute thing about this pin cushion is that my sister also lives on a farm and raises chickens that lay eggs. When I saw this little treasure at a local thrift shop I had to get it. I felted wool for the main rounded pincushion shape, but before I stuffed it I appliqued the yolk onto the top. I think it turned out perfectly and she will get a laugh out of it...she will get the yolk ...joke. Thank you for visiting me and leaving the kind comment. Oh my, that is the most adorable pincushion! I want one too!! 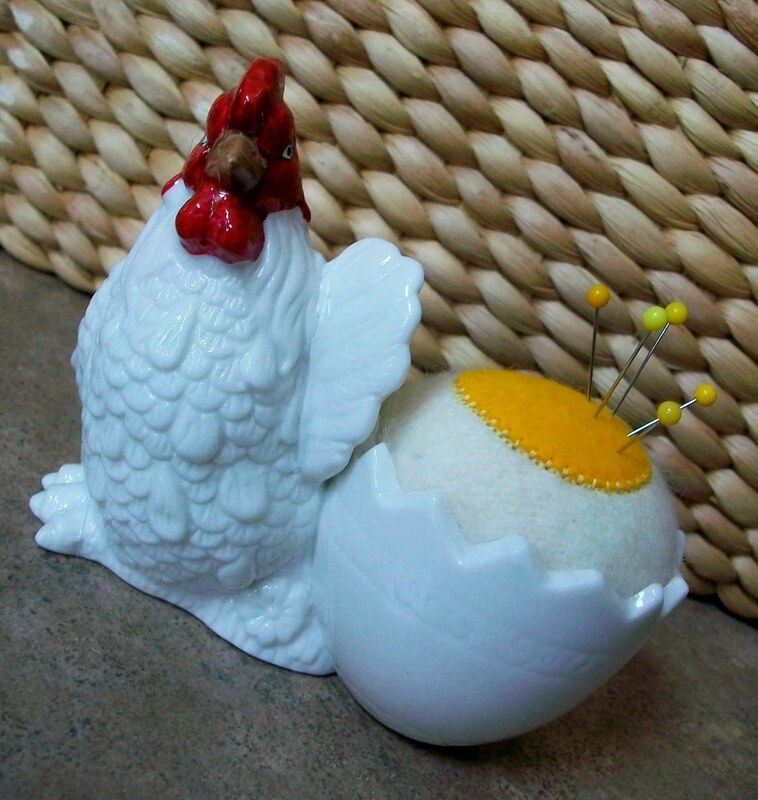 Seriously, that gives me an idea to search for an egg cup like that to make into a pincushion. Thanks for the inspiration.